Salah Nooruddin has been named Leeds United's new chairman, while David Haigh has taken over the day-to-day running of the club from Shaun Harvey. Harvey has stepped down as chief executive and Haigh, who was already on the board, becomes managing director. 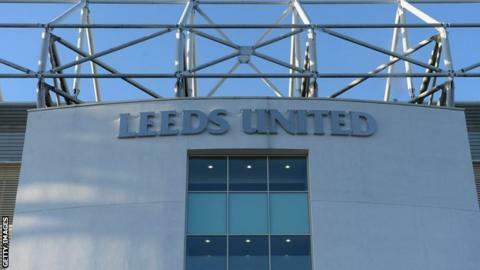 Nooruddin, who was vice-chairman, is a shareholder in LUFC Holding Ltd, which acquired a minority shareholding in the club from owners GFH Capital. Harvey, chief executive at Elland Road since 2004, will stay on as a director. Nooruddin said: "David Haigh and I will continue to work with the rest of the board, the management team, Brian McDermott and his team to build the foundations on and off the pitch of a successful future for Leeds United. "Shaun will remain as a director of the club to offer us his considerable footballing experience." Haigh, who is deputy chief executive of GFH, said: "We are at a time in the development of the club when we have to balance immediate ambition against our long term strategy for success. "We have an excellent manager in Brian McDermott and I am confident that by working as a team we can achieve our aims."